Your correspondent is back in the steamy tropics. This time it’s to follow the Ho Chi Minh trail thru Vietnam. One of the highlights of these Asian countries in their explosive, unregulated and anything goes phase of capitalism is that any local grocer stocks more beer than Dan Murphy’s at Manly Vale. Moments after checkin, and under the pretence of getting vital kiddie supplies, I was round the corner at the local with my arms full of more @untappd uniques than you can point a stick at. 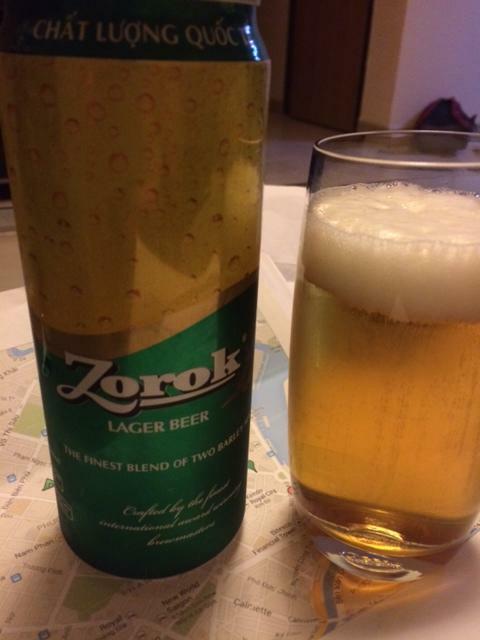 First of the rank was a nice malty Zorok. Perfect to wash away that first soaking in Saigon’s petrochemical haze.